It’s not easy being green but with PC Power Down you can do your bit to reduce your carbon footprint as well as cut electricity bills. PC Power Down is a new energy saving device that automatically powers down your PC plus screen etc, saving electricity and money plus avoiding unnecessary harmful emissions. Computers and computer peripherals are some of the biggest offenders being left on in homes; worldwide we are using 60,000 megawatts an hour to keep our computers running! We know leaving electricals on wastes money and harms the environment but computers often get over looked with about a third of us not switching off our machines*. As well as saving up to 0.75 tonnes of CO2 per PC, PC Power Down can cut your bills by as much as £175 a year if you are worried about the increasing costs of utilities as well as the planet. ** As the cost of electricity continues to rise PC Powerdown Home Edition is a very sound investment at just £29.95. According to government research, in 2007 15 million households in the UK have internet access, which requires a computer. If we assume that one third of these machines are left on unnecessarily, they waste over 10Twh (over ten thousand million kilowatt hours) at a cost of £875 million and result in 5 million tonnes of unnecessary CO2 emissions. This huge figure assumes one computer per household and does not include workplaces or schools and colleges. Once powered down, computers use next to no electricity, cutting bills and reducing levels of harmful carbon dioxide emissions associated with generating electricity. PC Power Down works by automatically powering down your PC and peripherals (screen etc) at a time you can set each day. It consists of two elements, a software application to schedule the computers to power down each day and a hardware element - a surge protected smart power block connected to the computer via USB. This cleverly senses when a computer has powered down and also switches off the power to any peripherals such as monitors, speakers, printers or routers. When you power your computer up again, it is returned to exactly the same state as it was before it was powered down; all the files and applications that you were using before are open and ready. PC Power Down is available from www.pcpowerdown.com for £29.95 (including one year’s licence, licence renewal is £10 per annum). For offices and institutions, there is PC Power Down Network which works in a similar way except the scheduling is set and controlled by a network administrator. Different schedules can be applied to different, groups, departments or even individual computers. In a networked solution, power down would generally be scheduled for shortly after the end of the normal working day. All computers would be drawing minimal electricity and all monitors, printers, scanner, speakers and USB peripherals would be switched off. Shortly before the start of the day, the computers are reactivated, the smart power block senses this and returns power to the peripherals, all the user needs to do is log in to return their workstation to the exact state it was when it powered down. PC Power Down Network is available for £45 per workstation (including the server software and one year’s licence, licence renewal is £20 per workstation), telephone 0808 137 1010 to discuss your network needs. 60,000 megawatts an hour to keep our computers running, source: Zerofootprint. 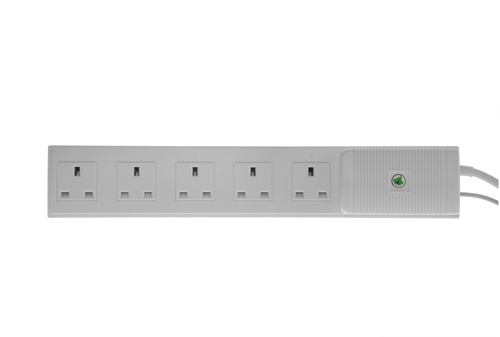 PC Power Down is a joint venture between Ivy Energy Saving and Qubic. Ivy Energy Saving was set up in 2006 to bring a series of energy saving products to market in the UK. Ivy Energy Saving products consist of both specifically designed energy saving devices such as PC Power Down and energy efficient versions of existing products. Ivy Energy Saving has worked closely with recognised accreditation body the Energy Savings Trust to guarantee the high quality and efficiency of all its energy saving products. Ivy Energy Saving products are available to buy through a combination of recognised retailers and online organisations as well as direct through its own web sites www.pcpowerdown.com and www.standbybuster.com. Qubic developed the software for PC Power Down and is a Microsoft Certified Partner. The business was conceived in 1994, uniquely as a voice and data systems integrator delivering the benefits of converged communications to commercial organisations and public sector clients. Always at the forefront of technological innovation, Qubic, for example, delivered its first IP telephony solution in 1994. Qubic holds a range of accreditation from industry bodies including; ISO 9001 and BS7799 as well as serving as council members with the IT Security Council. All projects are managed to meet customer's expectations, deliver on time and within budget by following to the OGC (Office of Government Commerce) approved PRINCE 2 project management method. For more information on Qubic, please visit www.qubic.uk.com. This press release was distributed by ResponseSource Press Release Wire on behalf of Boutique Communicatons in the following categories: Children & Teenagers, Men's Interest, Home & Garden, Women's Interest & Beauty, Environment & Nature, for more information visit https://pressreleasewire.responsesource.com/about.